There were no instructions but it is pretty simple to use. You have to put the batteries in and then press the little button circled before use. It kinda resets it. 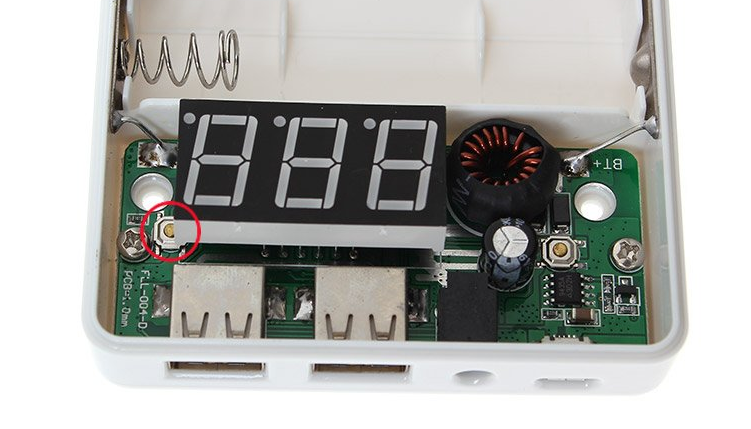 It will take 4 cells (ebay, old laptop supplies or rally) and you can adjust the power with the button on the front up to 13V the output will be shown on the LED display. I have mine set to 11V out. Works best after recharging the batteries first. It will also ouput 2 x 5V to the USB ports (one at 1A other 2A!!) at the same time so it will recharge mobile phones, GPS etc as well. The recharge is via a mini USB connector, this will draw 1.6A so do not plug it into a PC as they are only rated to 500mA. I have a raspberryi 2A plug that will do fine. Anyway it works... no complaint about RF noise etc.. It has all four cells in parallel 3.6-3.7V in so it obviously converts the voltage up. It will allow 3A out but will not last too long! Mine was sent from Singaore and it arrived in abut 6 days! This is a review of a separate unit. This is with batteries in and charged. Press the button on the front... the LED will flash on couple times then it will show in 3 digits the % capacity. Then it will output 5V (doesn't remember it). 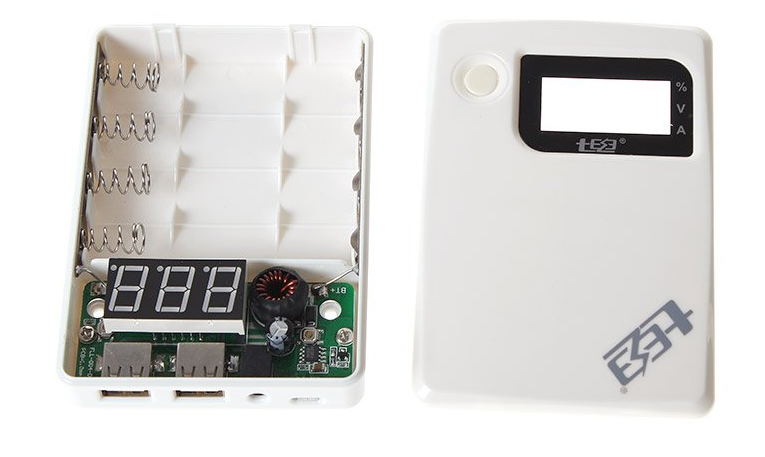 The with no outut connected each press increase the voltage by 0.5V and the display hows it. Press and HOLD the button and it will show dp and each press will then go down 0.5V.... long press reveres etc... rinse and repeat until you get the voltage you want. I said the two USB will function with the output connected I was wrong you can choose one or the other! Yes it does remember the voltage you set on power off.